It's amazing how adding a little foliage to your home can instantly liven things up. Not only do plants add a pop of color, but they also add an earthy element that reminds us of the outdoors. But this doesn't mean you have to turn your minimalist digs into a boho bungalow overrun by potted plants. Opt for a few carefully selected pieces of green decor instead. Ranging from sweet mint to decadent emerald, here are 17 gorgeous accents that will leave your home feeling like a verdant oasis. 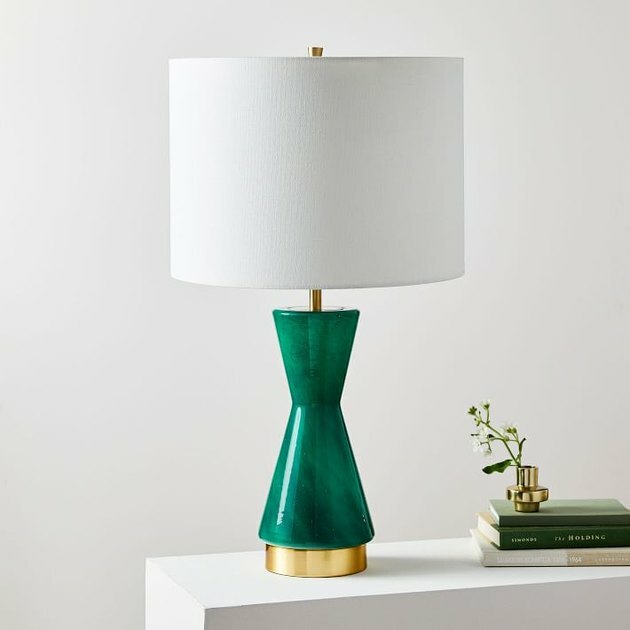 This emerald-green table lamp feels like it's been plucked straight from a mine full of gemstones. The USB charger installed in the antique brass finish base makes this glamorous fixture an ideal addition to any room in the house, even your office. Decorating for kids doesn't mean sacrificing your carefully curated personal style. 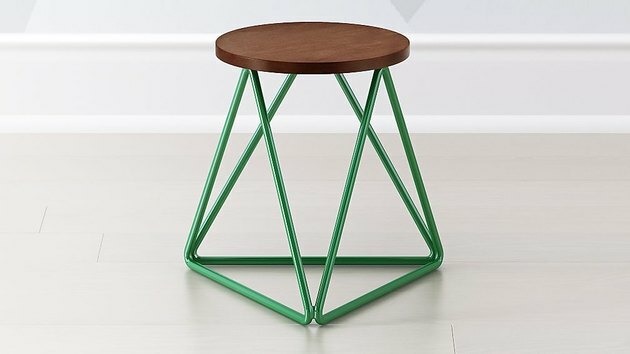 Angular, geometric legs turn this simple stool for kids into a high-end statement piece. Update your midcentury living room with a bit of sage. 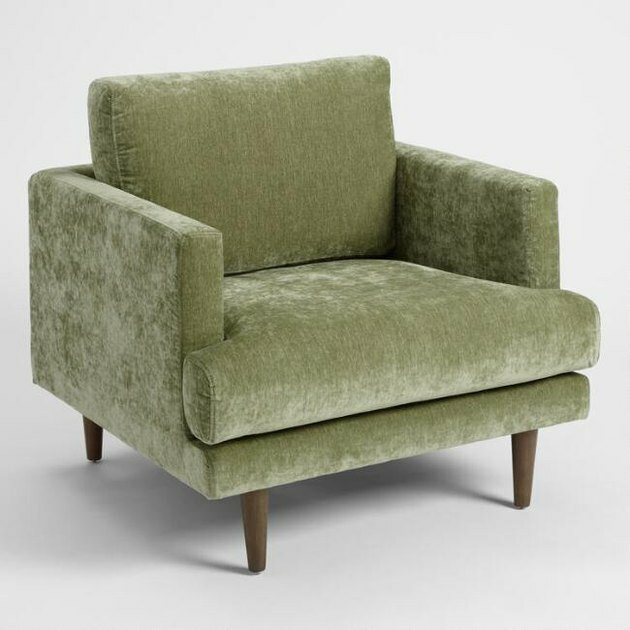 Not the kind that you burn to cleanse negative energy, but rather this luxe crushed velvet lounge chair. The tailored silhouette will look and feel amazing as you spend hours sitting in it, curled up with your favorite book. Who says your table lamp needs a shade? 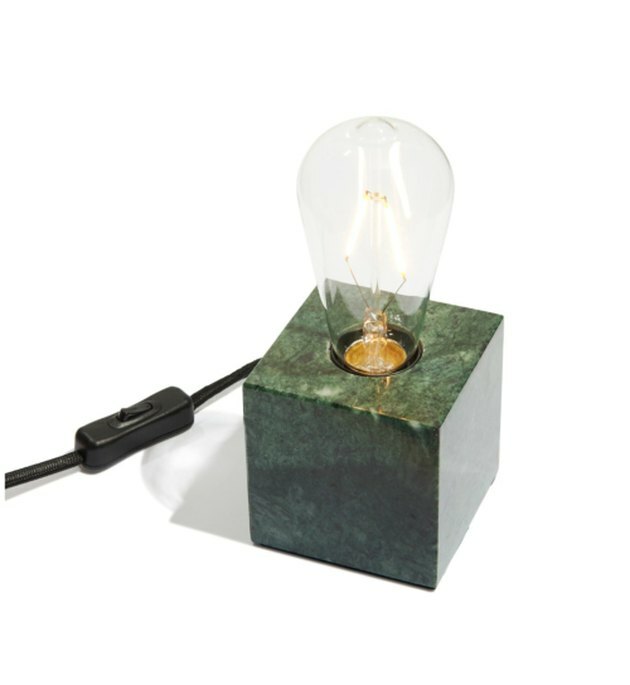 Embrace this piece of green decor with an exposed bulb which promises to create a chic design moment wherever it goes. 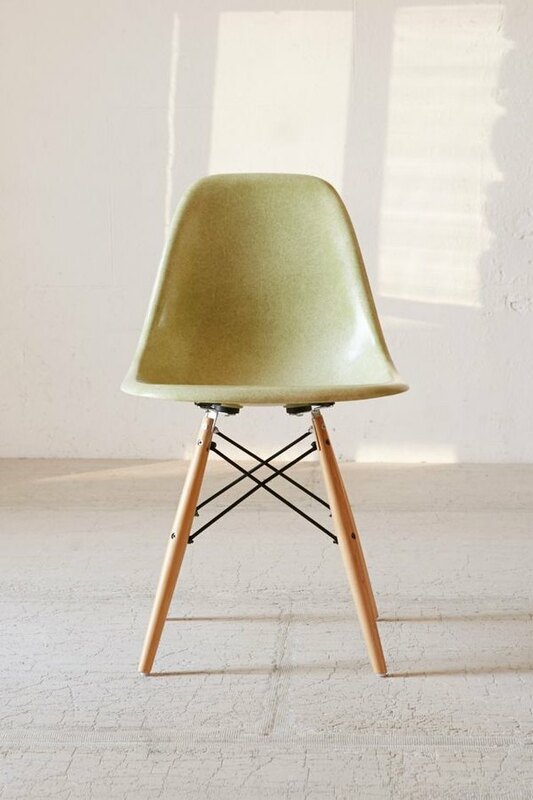 This midcentury-inspired side chair would look great sitting in front of your vanity table. 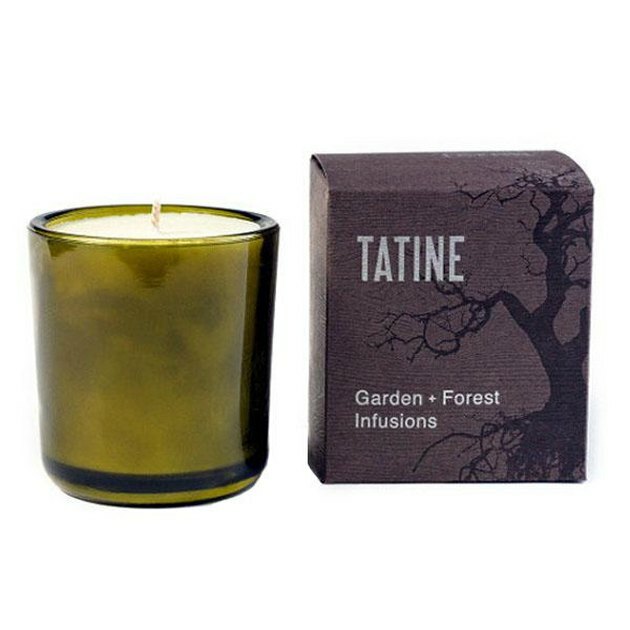 This soy candle gives new meaning to bringing the outdoors in. It provides 60 hours of burn time to enjoy rich aromatic "notes of cannabis, wild meadow grasses, drops of dark violet oil, sacred basil, garden mint, and anise." And bonus: All of the packaging is made from recycled materials. 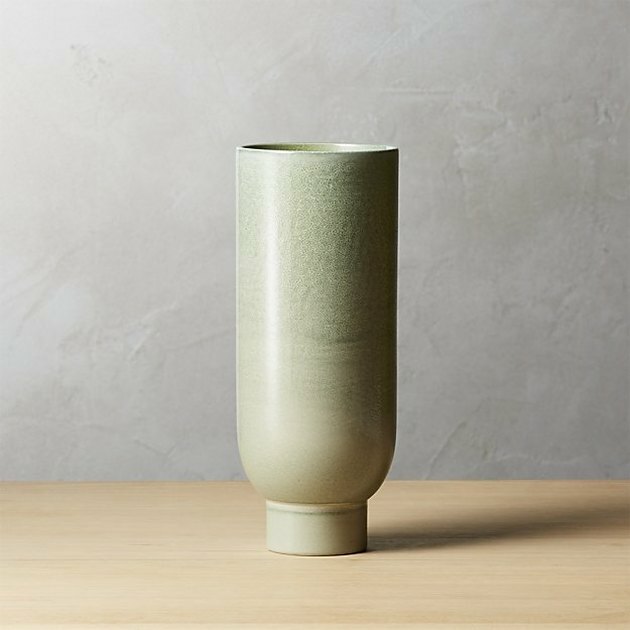 Proudly display your bi-weekly fresh blooms in this gorgeous earthenware vase. The light green, multi-tone shade is subtle, yet will add gorgeous texture and dimension to any tablescape. Nervous about adding the color green to your home's repertoire? 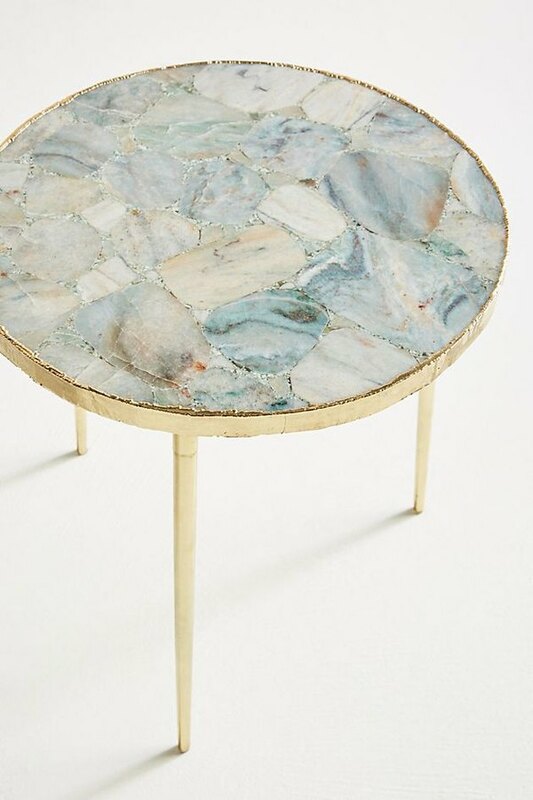 Start small with something like this side table. Made from natural agate with a brass-plated iron base, this striking accent piece is the perfect way to explore greener pastures. Sometimes, a pair of colorful pillow shams are all the spectacle a room needs. 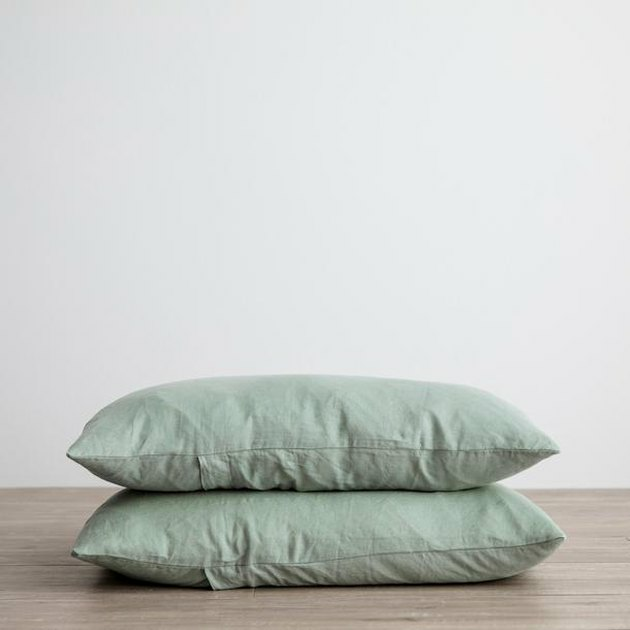 This set of mint green linen pillowcases will give your bedroom a fresh makeover that can work any time of year. Plus, linen bedding is kind of having a moment right now. Imagine stepping out of the shower and wrapping yourself up in this sea-foam green Turkish towel with fringe detailing. 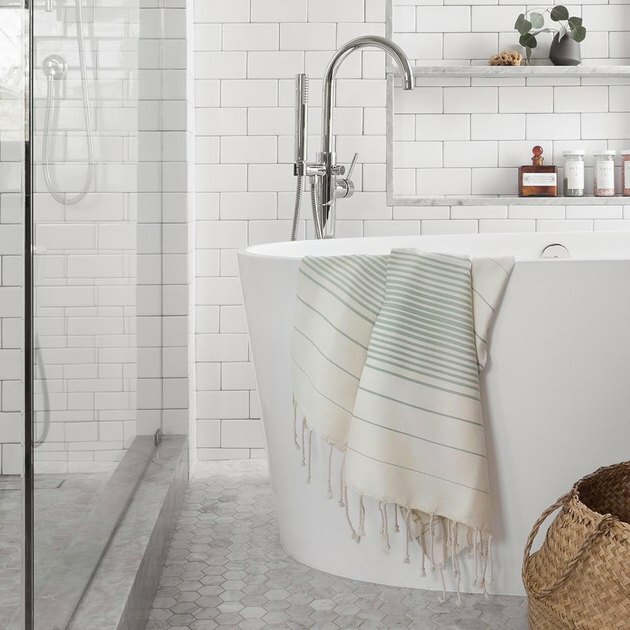 Handwoven in Morocco, this soft and absorbent must-have is the epitome of bathing luxury. And it doesn't hurt that it will look incredible hanging on your towel bar. 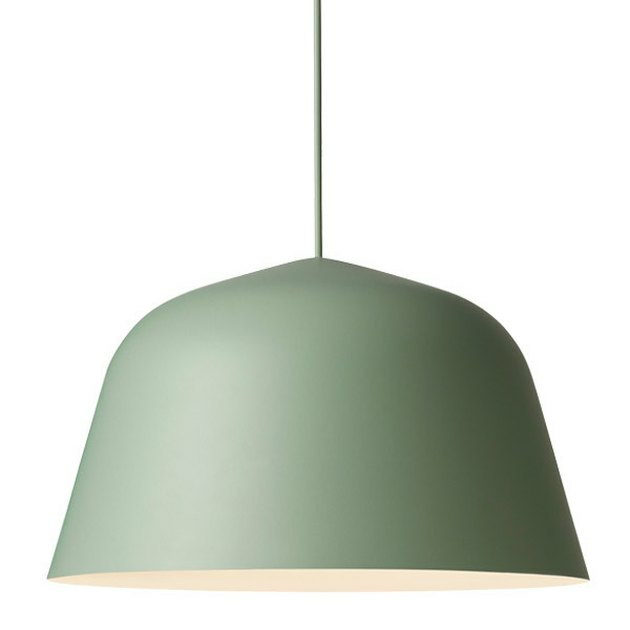 Add gravitas to your minimalist dining room with this gorgeous green pendant. Throw a dinner party and help end hunger. 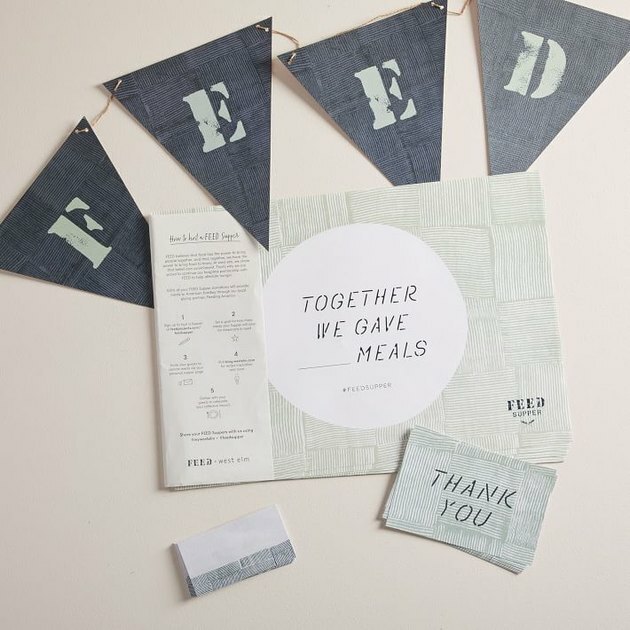 The creative kit includes rustic, pale green name cards, placemats, thank you cards, and a banner, as well as instructions for hosting a FEED Supper to help hungry families. Talk about a win-win! If you're giving your dining room an art deco-inspired makeover, stock up on this dark green piece of decor ASAP. 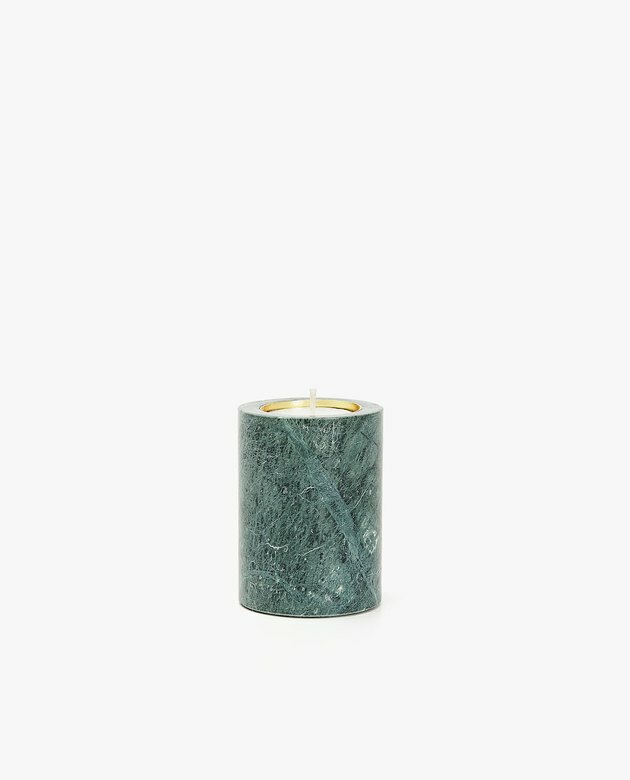 Candlelight bounces off the gold insert of this marble tealight holder, adding a dazzling shimmer that will set just the right mood for any feast. Suffer from a black thumb? 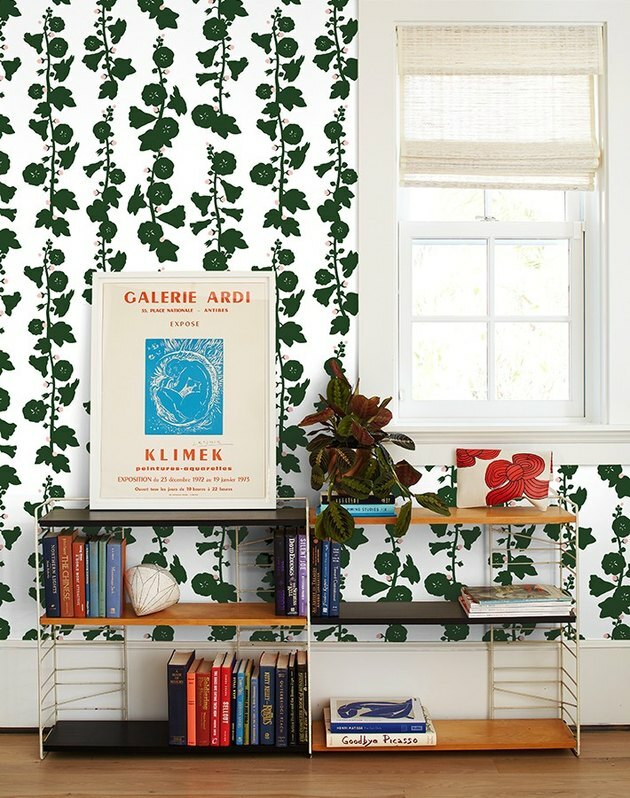 You're not alone and thanks to Clare V. and Wallshoppe you don't have to live life without the beauty of green foliage in your home. You can also feel good knowing that it's printed in Los Angeles on 30 percent recyclable material using non-toxic ink. 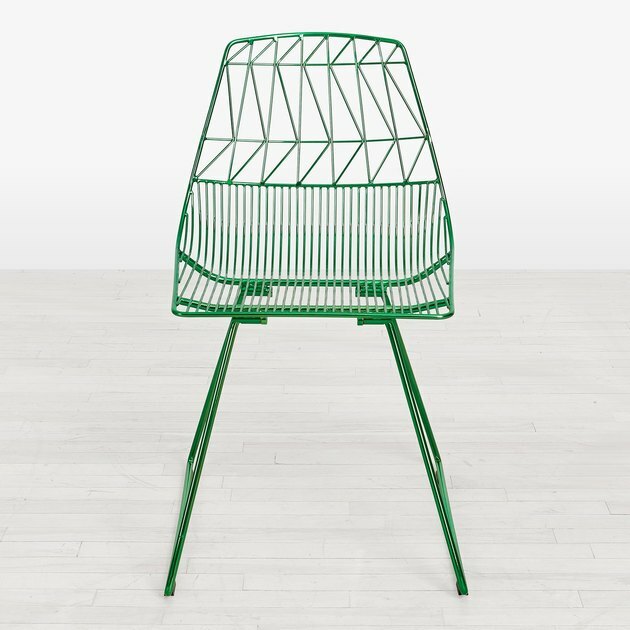 Created by L.A.-based furniture design company Bend Goods, this chair's unique geometric design is a work of art. The bright sapphire hue illustrates the brand's fun, creative aesthetic. 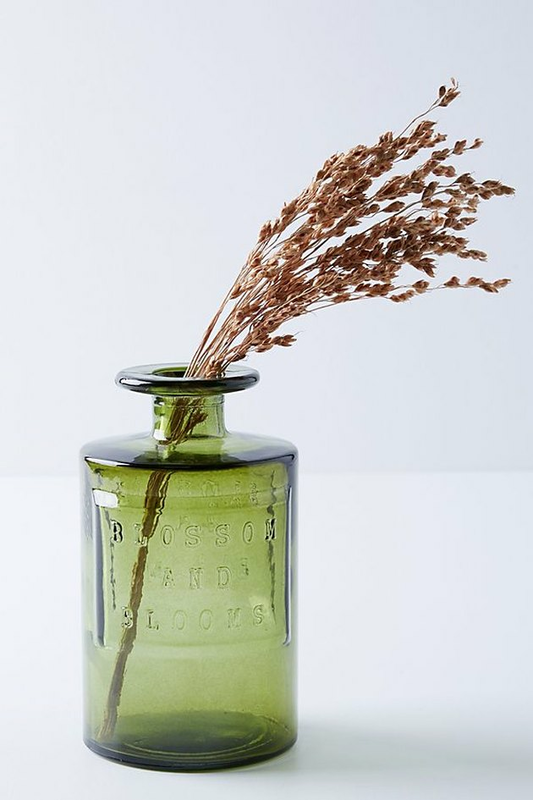 Made from recycled glass, this green apothecary jar screams vintage charm. The brass hour and minute hands of this chic clock aren't the only things catching our eye. 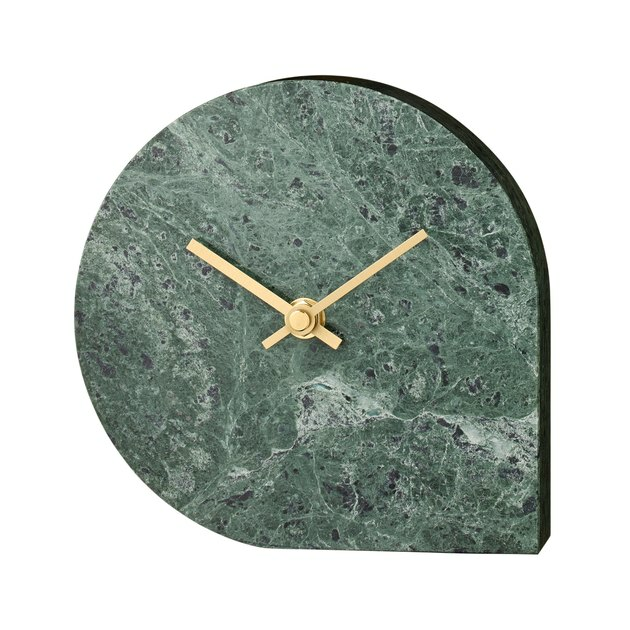 The stunning dark green marble that makes up the body of this Scandinavian design is downright hypnotic.